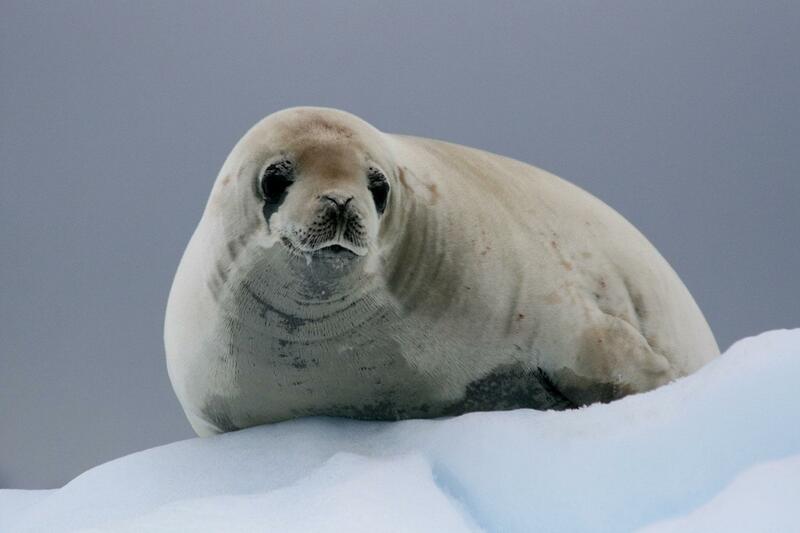 See Antarctica’s wildlife such as penguins, seals and whales. 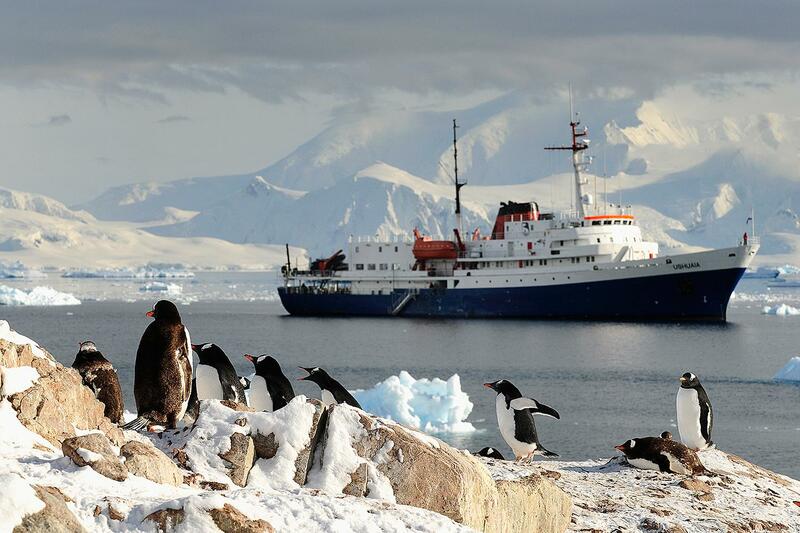 This is the ideal expedition ship to Antarctica. With less than 100 passengers, this small, ice-strengthened polar vessel is gives more flexibility with landings and everyone goes ashore at the same time. The staff and crew of the MV Ushuaia are renowned for their friendliness and enthusiasm and willingness to give you the best travel experience in Antarctica. 80 % of reviewers liked this tour. The overall experience was amazing, and yet this word cannot encompass the real feeling of being there and seeing the beautiful nature and landscapes in Antarctica. I must highlight the great attitude and willingness of all the staff members, crew, hotel and expedition guides. The atmosphere was always friendly and made passengers feel comfortable. The decision taken to wait before entering Deception Island was a wise choice by the expedition leader and the captain. However, there are a few areas in which I was not satisfied. The following is a comprehensive critic describing facts. I intended to produce a constructive feedback to be considered and help improve different areas. In some parts I refer to the Welcome aboard the Ushuaia leaflet. 1. The expedition guides quality of presentations and level of English were questionable. You have written that you selected them for their professional accomplishments and reputation (Lecturers section, page 5). However, the level of English of almost all of them was below average. Many times they could not structure adequately a simple sentence, they did not know basic words and pronunciation was poor. Frequently passengers had to help them, which is not expected from reputable professionals. Similarly, the quality of the Power Point presentations was poor. Not high contrast between background and text (considering that the room used for lectures allows a lot of light from the windows), flow of content was disorganised, lecturers did not engage with all the passengers, and lecturers walking around while crossing the Drake Passage affected their focus, so the presentations were actually long and boring. Additionally, there were frequent problems and delays when handling multimedia equipment before every presentation. Professionals will always be prepared and have experience handling such equipment. 2. The expedition leader’s level of English. Knowing that most of the passengers are non-Spanish speakers, the level of English expected was much more than the one observed. Even more knowing that the expedition leader’s wife is a language teacher. Regarding his presentation, it started with three videos from YouTube that anyone could watch another time. It lasted one hour but there was an obvious lack of content and it seemed that including the videos was only for the sake of having a one-hour lecture. One day the expedition leader organised a competition as we approached the peninsula, which made people feel more engaged and excited after two full days of sailing. Unfortunately, they called it off after one of the explorer guides “won”, which was really strange and honestly seemed staged. I approached to one expedition guide who was actually registering my name for the competition, then he approached to another guide to ask him the procedure to register entries, however the latter said that the competition was called off. I was upset because they did not informed us, so I came forward to discuss it with the expedition leader, but he simply said that it was called off, which was very disappointing. 3. In the Wildlife Watch section (page 8), you have written “…if we are fortunate enough to sight wildlife, we will announce it from the bridge, regardless of the hour. If you wish to go back to sleep please do so!”. It was a shame that sight happened and it was actually not announced. Moreover, later on the day the expedition leader informed everyone that there was a sight but that they decided not to announce it because it was at 4 am! I believe that was outrageous. 4. I have seen videos in which passengers travelling with other agencies/ships actually go in the zodiacs and approach whales for a beautiful experience. In our trip there were two occasions in which it was possible to do the same. In one the captain even slowed down and turned back but the decision of the zodiacs was not taken. In another trip organised to go around in the zodiacs, there were three groups of two zodiacs going to different routes in the same bay. On the radio I heard that there was a whale sighting, I even saw it in the distance and how two zodiacs went into that direction. I asked the driver (crew member) why we could not go as well, and he simply said that zodiacs should always remain in pairs (?). I understand that, but that is why they have radios and actually communicated that there was a sighting. I also understand safety, but to be honest, there is no risk in approaching to a certain distance to be able to see a whale from sea level. If you do not plan it, then it will simply never happen. Decisions should be taken to make it happen. 5. In the Zodiac safety guidelines, number 8 reads (page 9): “Please remain seated while taking photographs. Your zodiac driver will often stop to enable you to take pictures”. Most zodiacs’ drivers were crew members and they could not keep order in terms of reminding people to remain seated for safety reasons, either because they did not speak English, or they felt it was not their responsibility. 6. We were provided with a leaflet called Guidance for Visitors to the Antarctic per person. It is not necessary and most of the people did not read it. I strongly believe it is a waste of paper and ink. To sum up, my feedback is: do not oversell or say things will happen when they actually will not. It causes people to feel deceived and highly doubt about the quality and reliability of your services. Something was expected but facts showed something different and that left a negative impression. Expedition guides and crew members are the ultimately point in direct contact with the passengers. For many of us this was the trip of our lives and nowadays every passenger is a blogger commenting and rating everything. Your staff should be fully aware of this to provide an excellent service and experience. It was a beautiful experience and I am very thankful you helped me to make it possible. I know I want to do it again and I would love to travel with you again because the overall experience was positive from the very beginning, but honestly the points previously highlighted should be improved/taken into consideration. Мы до сих пор с восторгом вспоминаем нашу чудесную поездку на корабле "Ушуайя". Очень внимательный экипаж, команда экспедиции, ее лидер Моника. Отдельное спасибо повару, официантам. Все было безупречно. Еда как в самых лучших ресторанах. Excellent staff, did all they could to enhance this fantastic experience. The booking process and communication from Stewart Campbell before the trip was exceptional. 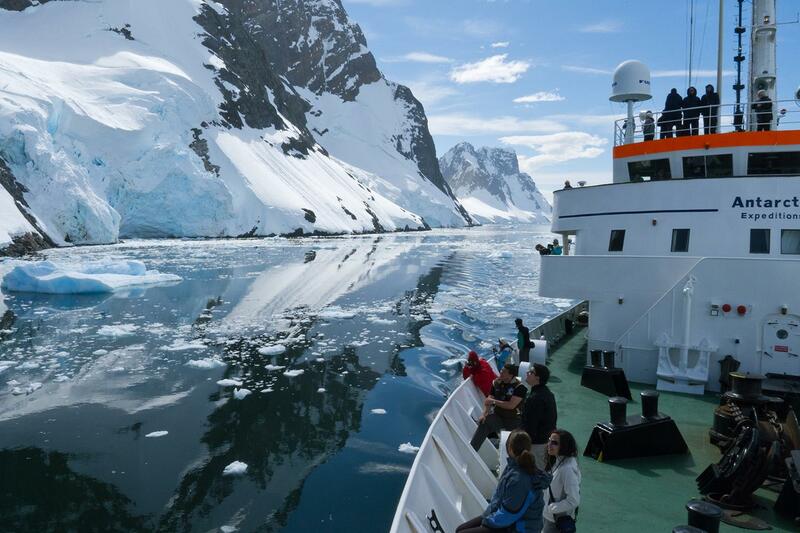 This vessel is proving increasingly popular and offers excellent value for your money and is one of the cheapest ways to visit Antarctica. There are many departures to choose from - book now and experience an ideal introduction to Antarctica! 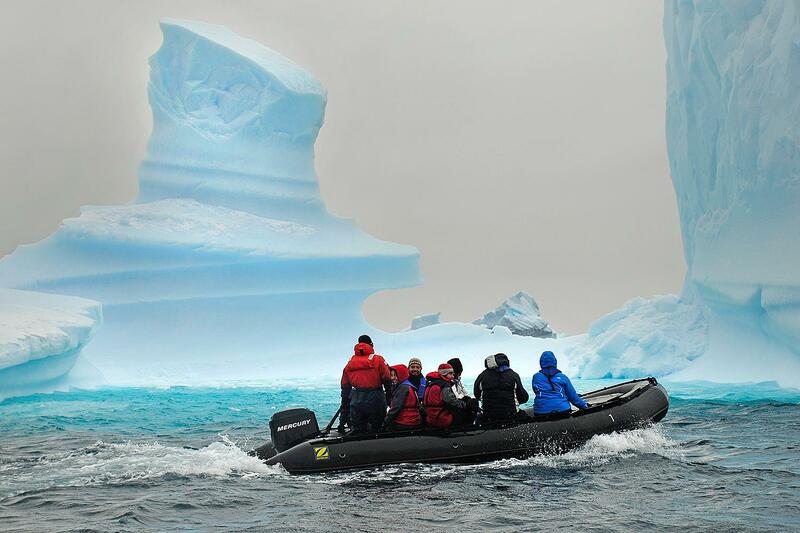 This Classic Antarctic expedition cruise is the ideal introduction to the White Continent. Take best advantage of the amazing wildlife and spectacular scenery with a truly unique and unforgettable experience. 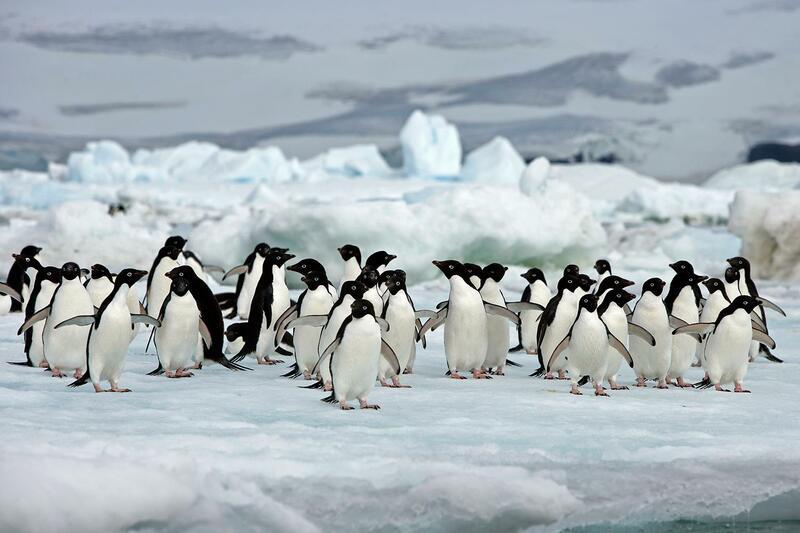 Discover busy penguin colonies, spectacular seabirds, seals and whales amidst the imposing mountain ranges, ice-filled channels, and beautifully shaped icebergs and glaciers of the Antarctic Peninsula. Ushuaia Antarctica Cruise Day 1: Ushuaia (Argentina to Antarctica) Embark the Antarctic cruise ship MV Ushuaia and meet your expedition and lecture staff. After you have settled into your cabins we sail from Argentina to Antarctica along the famous Beagle Channel and the scenic Mackinlay Pass, beginning your Antarctic expedition cruise. Day 2 - 3: Crossing the Drake Passage. Named after the renowned explorer, Sir Francis Drake, who sailed these waters in 1578, the Drake Passage also marks the Antarctic Convergence, creating a great upwelling of nutrients which sustains the biodiversity of this region. On this Antarctica voyage, as we sail across the passage, the lecturers will be out with you on deck to help in the identification of Antarctica’s wildlife. The Ushuaia’s open bridge policy allows you to join our officers on the bridge and learn about navigation (or just enjoy the view!). Upon reaching the South Shetland Islands - a group of twenty islands and islets - you’ll be met with sightings of stunning icebergs and picturesque snow-capped mountains. With favorable conditions in the Drake Passage our lecturers and naturalists will accompany you ashore as you experience your first encounter with the penguins and seals. 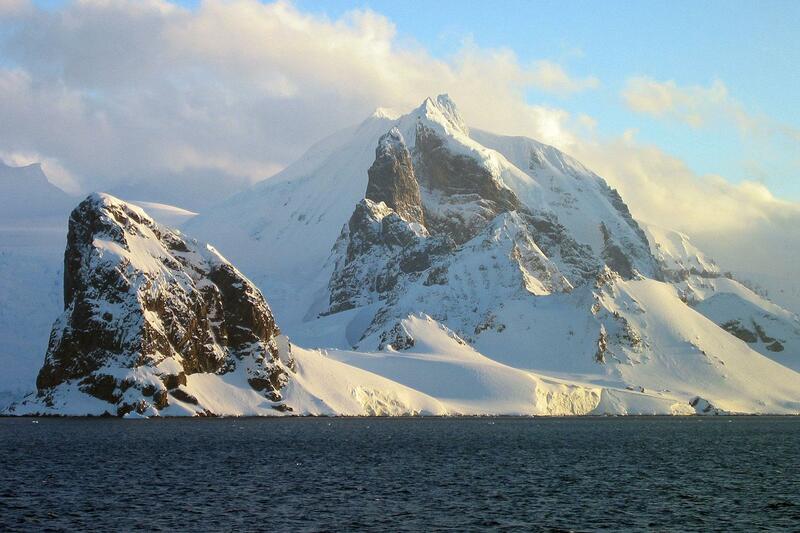 Days 4 to 8: Antarctic Peninsula and the South Shetland Islands Become Antarctic explorers! 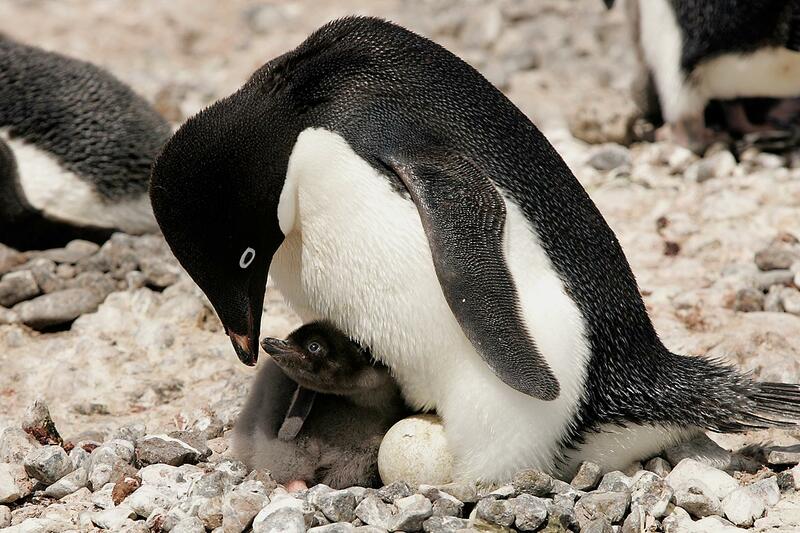 The South Shetland Islands are a haven for Antarctica’s wildlife. Vast penguin rookeries, beaches ruled by Antarctic fur seals and southern elephant seals make every day spent in this amazing island group unforgettable. Sailing through the narrow passage into the flooded caldera of Deception Island is truly amazing. Some of the best Antarctica Wildlife Hotspots Discover King George Island - the largest of the South Shetland Islands - home to many Antarctic birds, and colonies of nesting Adélie and chinstrap penguins. At Livingston Island, discover even more of Antarctica’s abundant wildlife as macaroni, chinstrap and gentoo penguins (as well as elephant seals) await you here. You will have plenty of time to explore its amazing scenery, a pristine wilderness of snow, ice, mountains and waterways, and an incredibly wide variety of wildlife. Abundant Antarctica wildlife, beautiful waterways and spectacular glaciers During this expedition, along with penguins and seabirds, you are very likely to see Weddell, crabeater and leopard seals, as well as Minke, killer (orca) and humpback whales up close. We hope to navigate some of the most beautiful waterways (depending on the ice conditions) such as: the Gerlache Strait, the Neumayer Channel, and the Lemaire Channel. The latter are narrow passages between towering rock faces and spectacular glaciers. 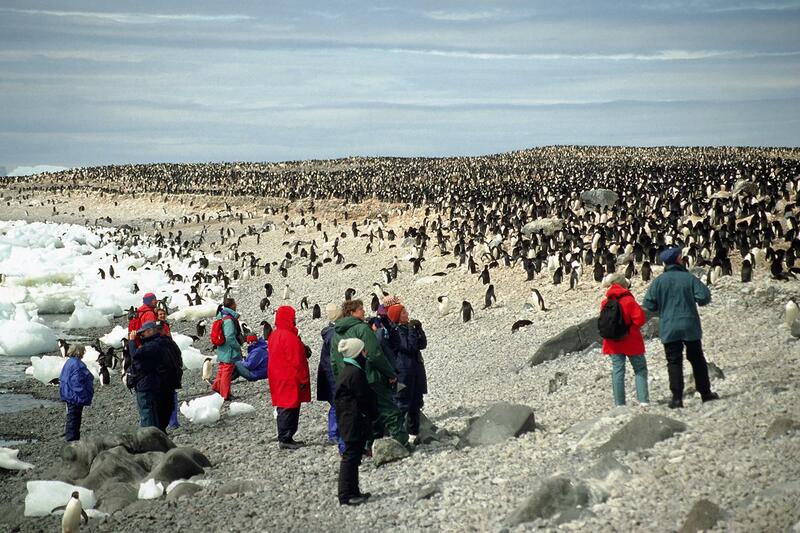 Go ashore and visit thousands of pairs of Adélie penguins! We plan to make at least two landings per day (including Paradise Bay; perhaps the most aptly named place in the world). After negotiating the iceberg-strewn waters of the Antarctic Sound, we hope to visit the bustling Adélie penguin (over 100,000 pairs breed here) and blue-eyed cormorant colonies on Paulet Island. Further exploration may take you to Melchior Island, Cuverville Island, Portal Point, Neko Harbour, Pléneau Island and if ice conditions permit, to Petermann Island for a visit to the southernmost colony of gentoo penguins. 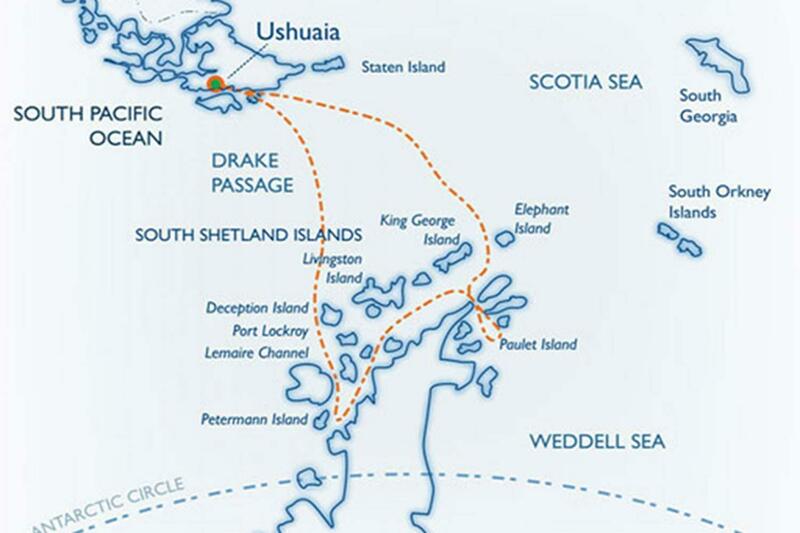 Days 9 - 10: Drake Passage. 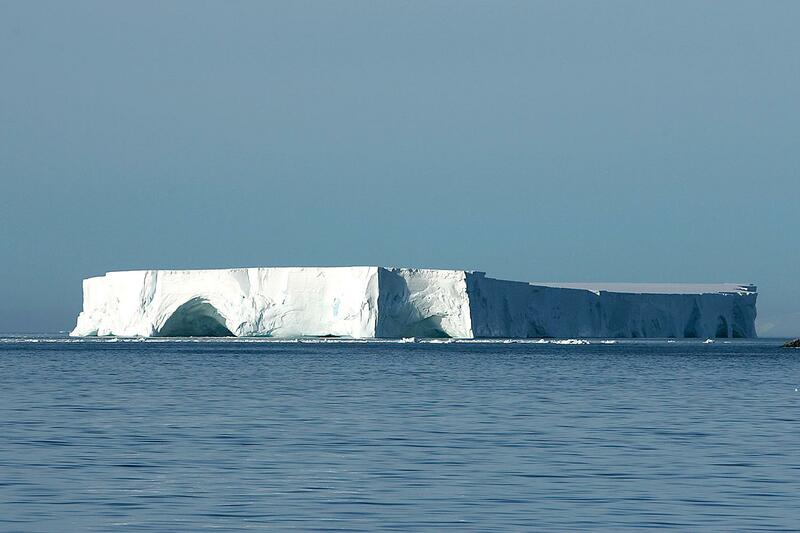 We leave Antarctica and head north across the Drake Passage. Join our lecturers and naturalists on deck as we search for seabirds and whales and enjoy some final lectures. Take the chance to relax and reflect on the fascinating adventures of the past days on the way back to Ushuaia. Day 11: Ushuaia. We arrive at the port of Ushuaia in the early morning and disembark after breakfast. Please note: The 9 night/10 day departures offer one day less in the area of the Antarctic Peninsula and South Shetland Islands. The above itinerary is a guide only. Our exact route and program will vary to take best advantage of local weather, ice conditions and opportunities to view wildlife. Changes will be made by the captain and/or expedition leader to facilitate the best results from the prevailing conditions. A daily program sheet will be issued on board. Flexibility is the key to success of this Antarctic expedition cruise. All meals throughout the voyage aboard the MV Ushuaia. Any airfare (scheduled or charter flights). Pre and post-land arrangements (Including transfers to/from the vessel). Baggage, cancellation and personal insurance (strongly recommended). Extra expenses (excess baggage charges, bar and beverage charges, meals ashore, communication, laundry, souvenirs, etc).